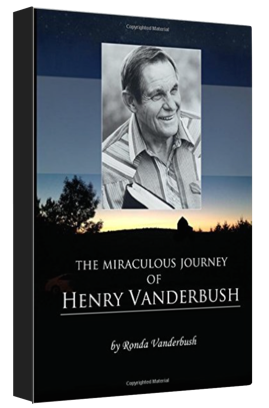 Ronda Vanderbush, writes her first book centered around the incredibe adventures of faith with her husband of forty-one years, Henry Vanderbush. You will enjoy this journey of a man who was a profoundly gifted communicator as well as being clearly defined by his fun-loving, joyous sense of humor, which carried through into his sermons and had a way of keeping you on the edge of your seat no matter what the subject. Traveling together for thirty-six years all over the United States and overseas was an adventure that Ronda would never trade for all the fancy homes most women dream about. A home on wheels was her palace, and living with Henry was a joy! Read about the experience that brought them into a new revelation of the power and presence of God in their lives and ministry, and be forever changed in your own life! This radically inspiring biography will enrich your faith and transform your life. DO YOU SUBSCRIBE TO THE PODCAST? 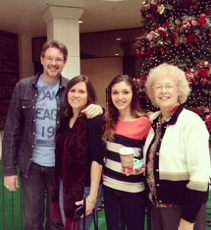 Faith Mountain Ministries was founded by Henry and Ronda Vanderbush in the late 70’s. Along with an extensive traveling schedule, Henry Vanderbush produced a radio broadcast heard across the midwest United States for more than 35 years. The broadcast still continues today under the leadership of Bill Vanderbush as the ministry continues to carry the good news of the Gospel of Jesus Christ all over the world. 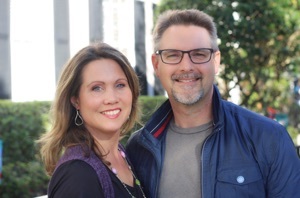 Bill and Traci Vanderbush have been in ministry for 25 years. Bill grew up on the mission field, traveling all over the world and seeing thousands impacted by the Gospel of Jesus Christ. They currently travel, speaking in conferences and churches around the world, as well as serving at Community Presbyterian Church in Celebration, Florida, where Bill is a Pastor. He enjoys empowering others to invade the impossible. Bill and Traci currently live in Celebration, Florida. They have two grown children, Britain and Sara.